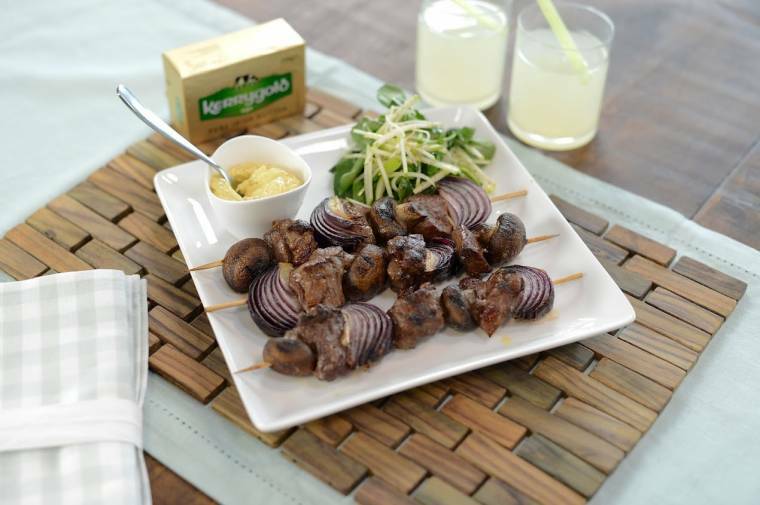 Thread the steak chunks, the onion and the mushrooms onto the skewers, alternating the pieces. Brush with olive oil and season with freshly ground black pepper. Cover and chill until ready to cook. In a large bowl mix all the ingredients for the flavoured butter together. Barbecue or grill the kebabs for 4-5 minutes on each side, until evenly cooked. Brush with the wasabi glaze and cook for a further 2 minutes. Serve with the watercress salad. Mix all the ingredients together for the flavoured butter, apart from the juice of the lemon and lime. Once all the ingredients have been mixed, whisk in the lemon and lime juice until it has been incorporated into the butter (the butter must be soft, otherwise the juice will not go into the butter). Barbecue or grill the salmon for 3-4 minutes per side, brushing with olive oil and seasoning with salt and pepper. 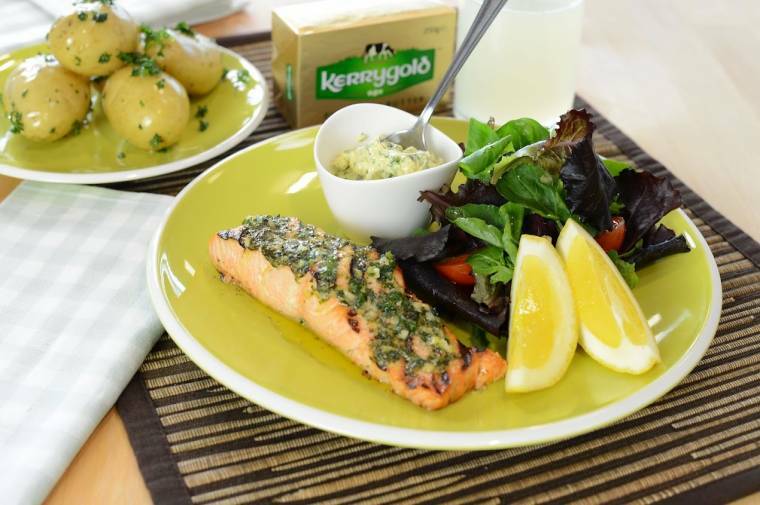 Brush the salmon with the flavoured butter and continue to cook for 1 minute on each side. Leave to rest for 2-3 minutes, then brush the remainder of the butter over the fish. 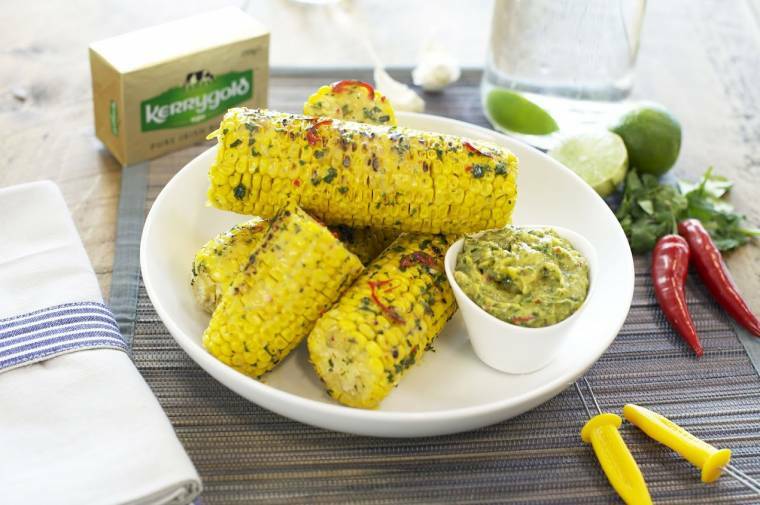 Sometimes the simplest foods taste the best – like these delicious corn cobs, basted with a fabulous flavoured butter. 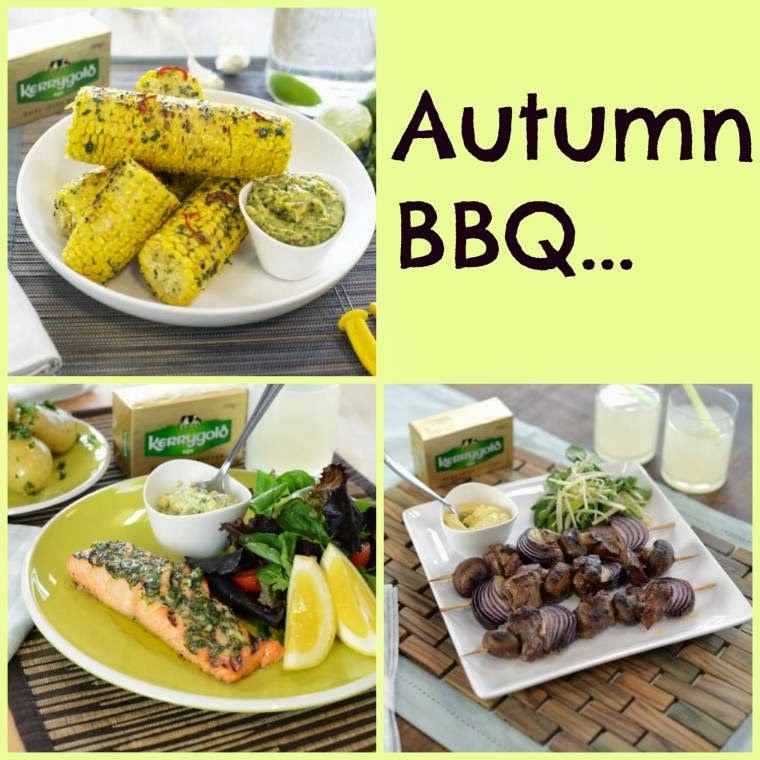 Preheat the barbecue or grill. Meanwhile, cook the corn cobs in boiling, lightly salted water for 6-7 minutes, until tender. Put the butter into a bowl and add all the remaining ingredients, mixing until thoroughly blended. Barbecue or grill the corn cobs for 2 minutes on all sides, until nicely charred. Brush the butter onto the cobs and turn again for another 1-2 minutes until evenly coated. Serve straight from the BBQ or grill, brushing with extra butter if required. All can say is finger-lickin' good!! Everything looks so tasty!! !